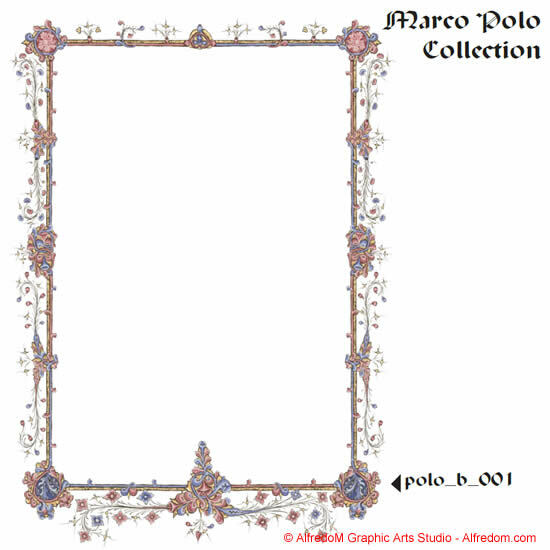 This selection includes many ornate renaissance border art to create unique certificates and diplomas. 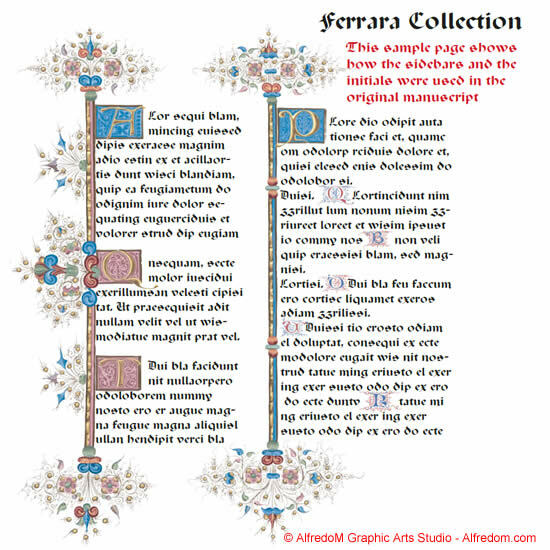 The two groups of decorative illustrations from old books are well suited for Medieval, Gothic and Renaissance wedding invitations and announcements. 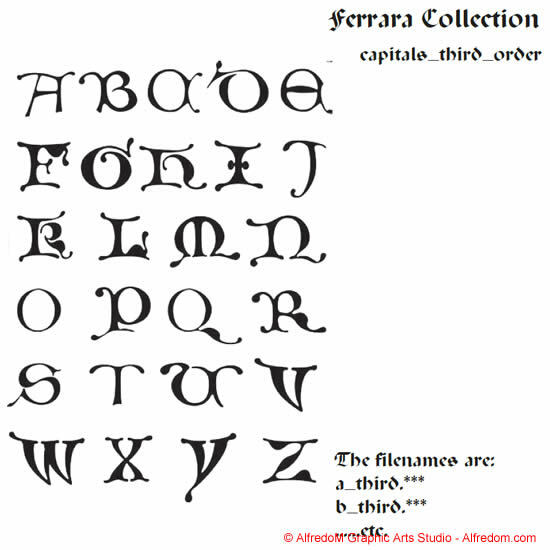 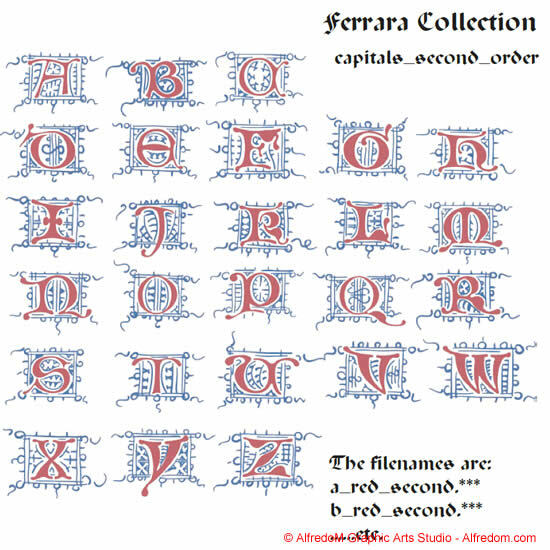 The first group, The Ferrara Collection includes sidebars or dividers and three orders of initial majuscule caps in co-coordinated sets of colors and all the letters of the alphabet are present. 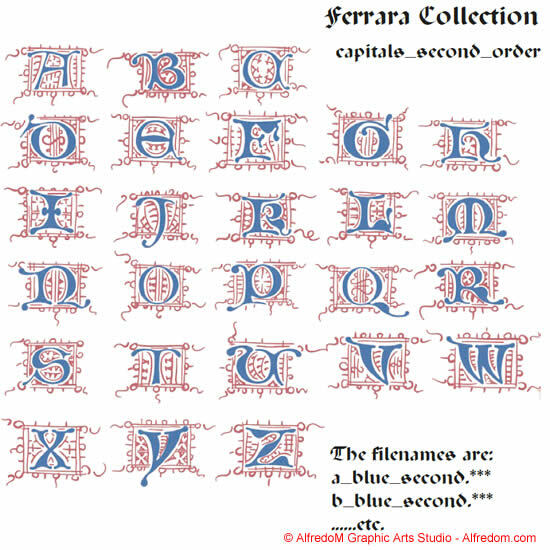 Not all the Medieval or Renaissance capital letters were available in the original ancient manuscript end the missing ones have been hand drawn to match the existing ones. 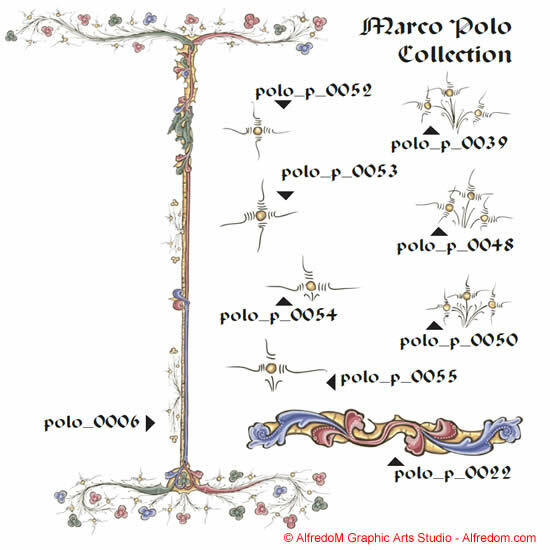 This complete set of side borders artwork and lettering permits the creation of pages like the original ones. 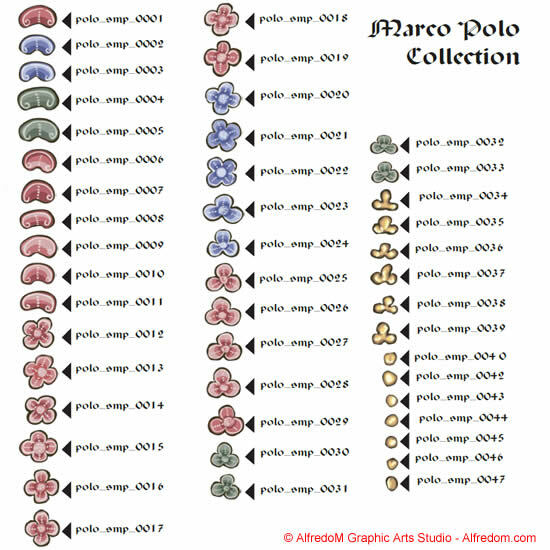 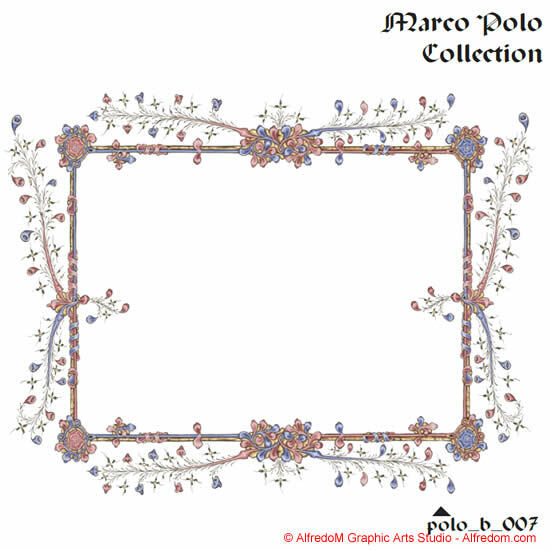 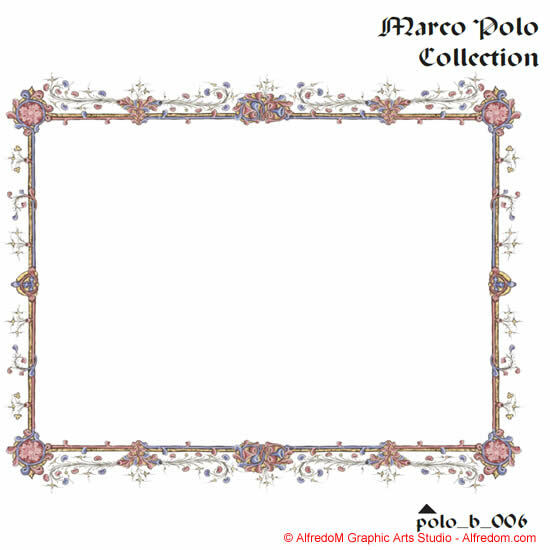 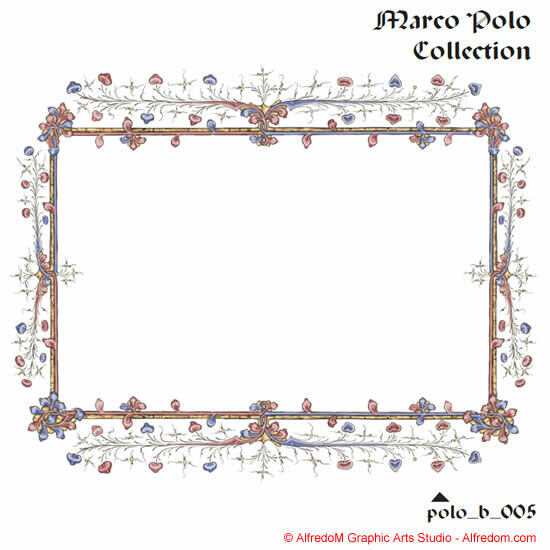 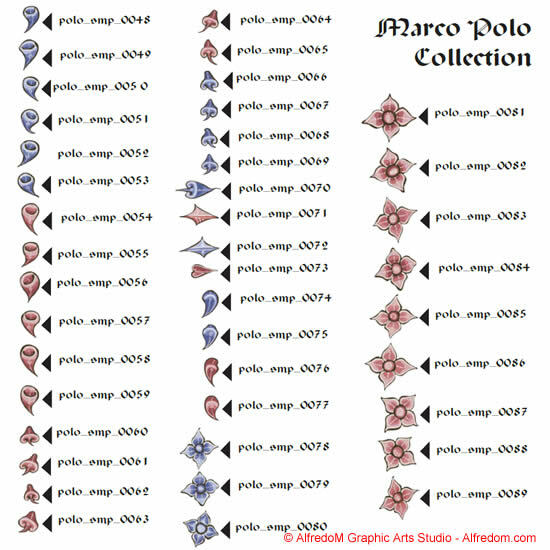 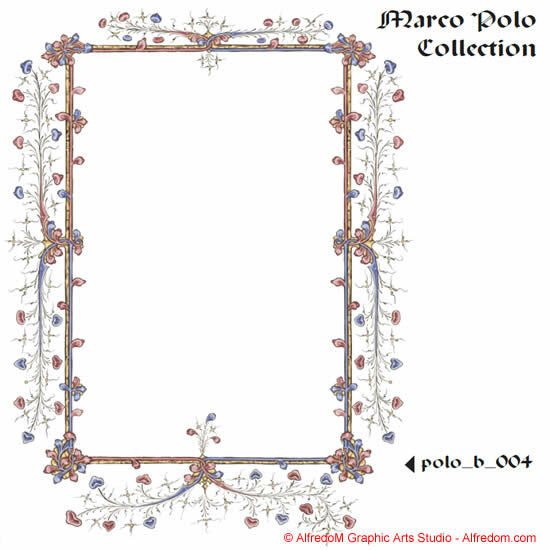 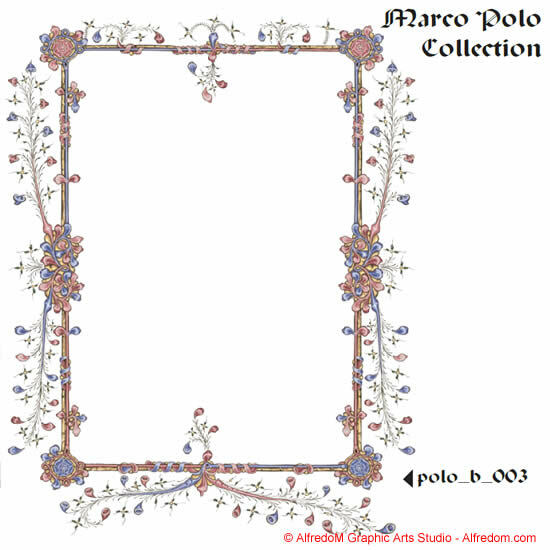 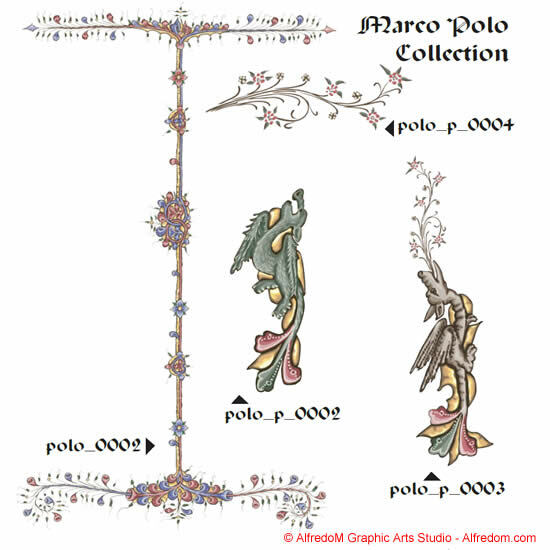 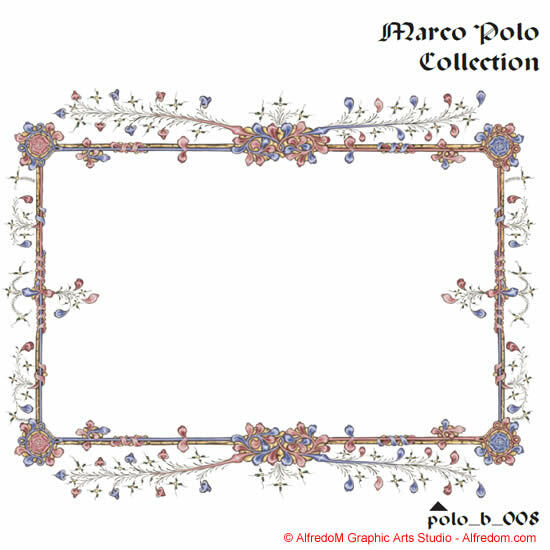 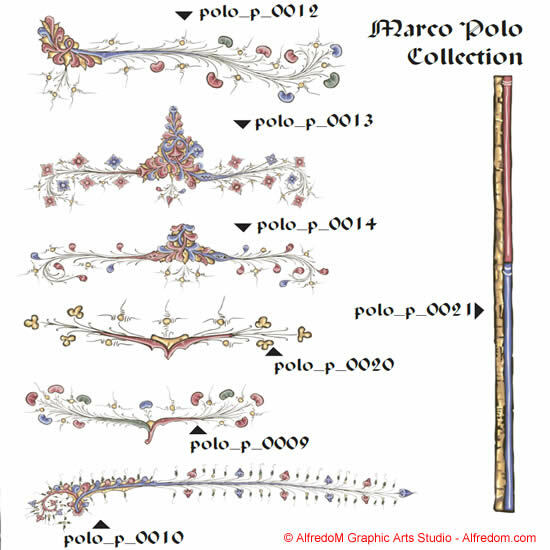 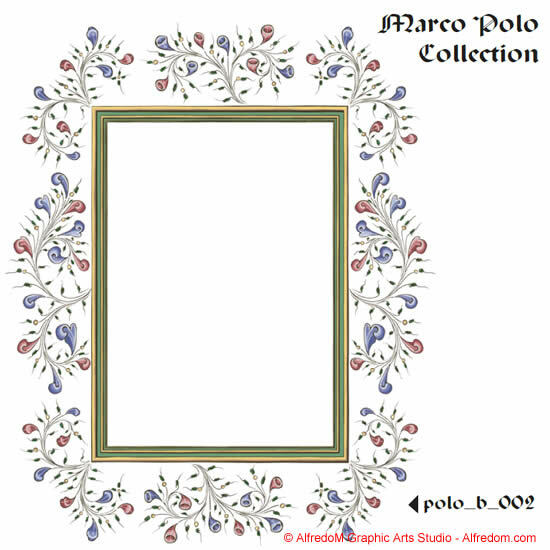 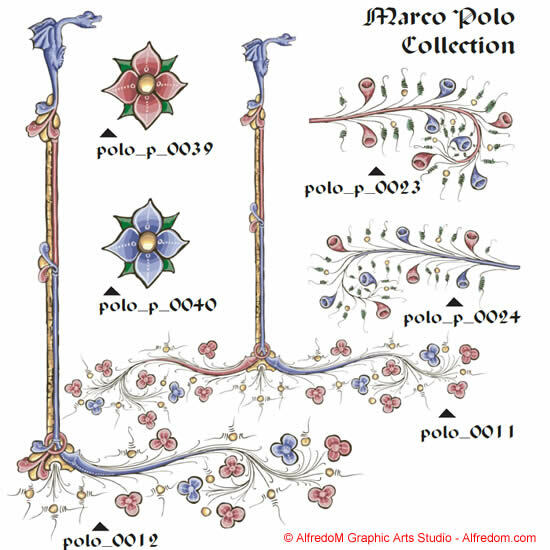 The second group, The Marco Polo Collection is a selection of Gothic Illuminated clip art drawings; many ancient manuscripts art borders, side-bars, dividers and page decoration images from Marco Polo, Li Livres du Graunt Caam, and other related manuscripts. 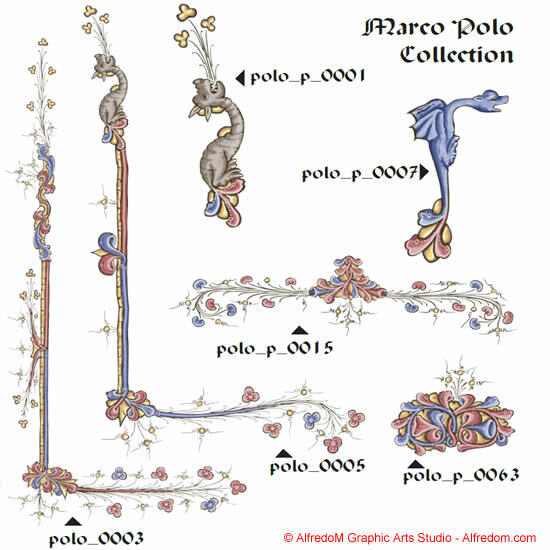 Also various decorative graphic elements (including dragons) that can be assembled by the illustrator to create many new designs and complete the decoration of the pages. 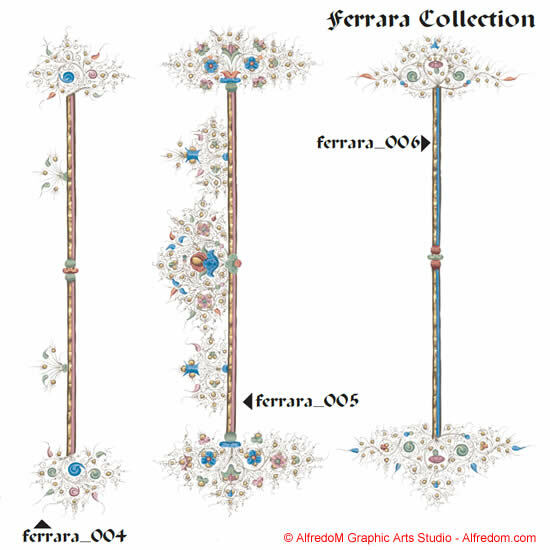 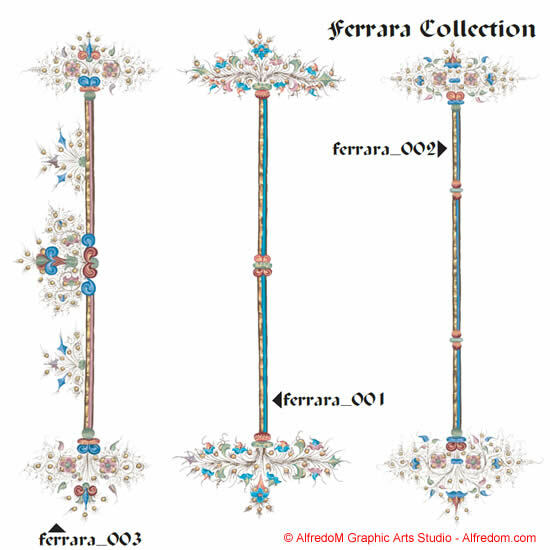 The images and borders in this collection are comprised of many unique graphic elements large and small, these decorative elements clip art graphic parts are also available unassembled. 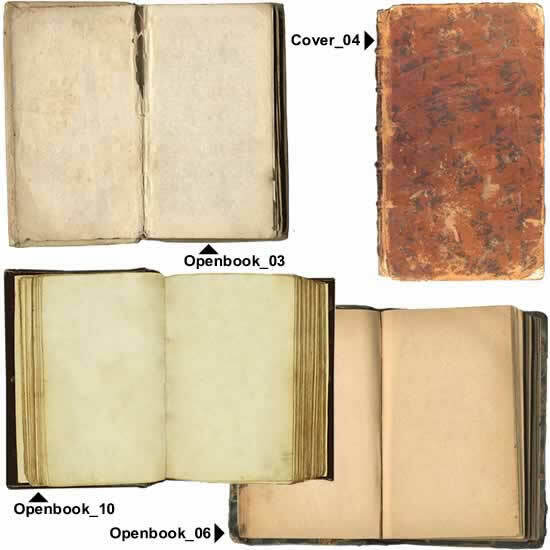 Making elements accessible gives the user total flexibility. 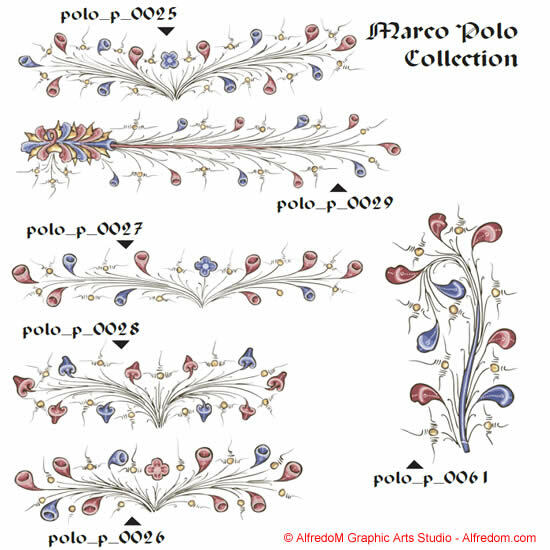 Graphic elements can be assembled in a great variety of ways to meet individual project requirements. 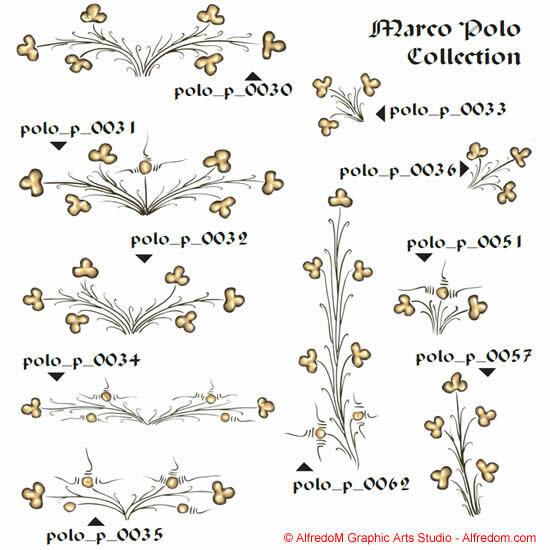 Clip art decorative elements vector stock images are included, when it is possible to separate them, in many of our collections. 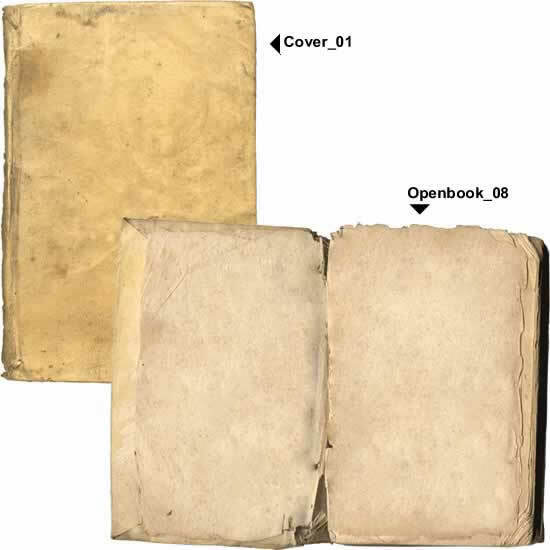 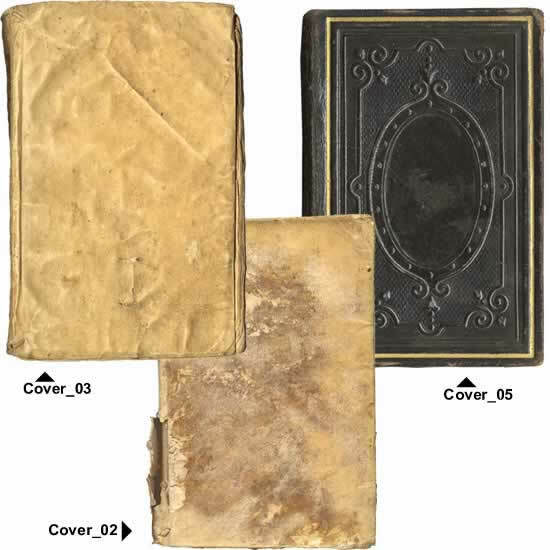 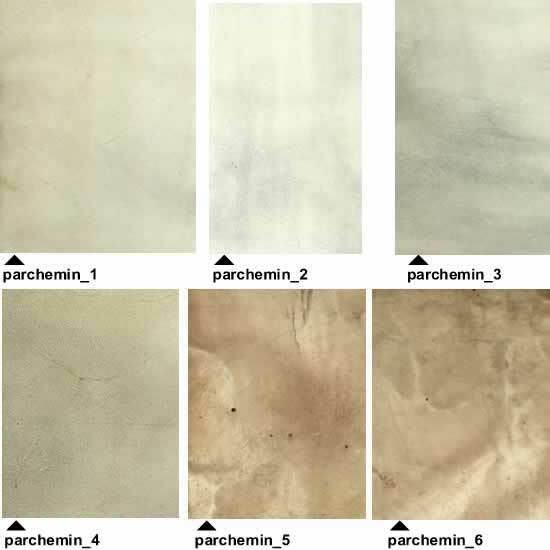 All CD illustration collections and instant download include also the set of photographic reproductions of parchment and blank pages of antique books that can be used as backgrounds. 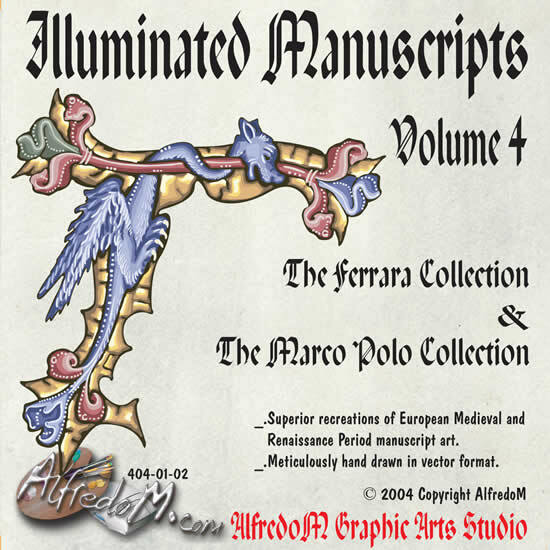 Designing illuminated borders and capital letters of the alphabet. 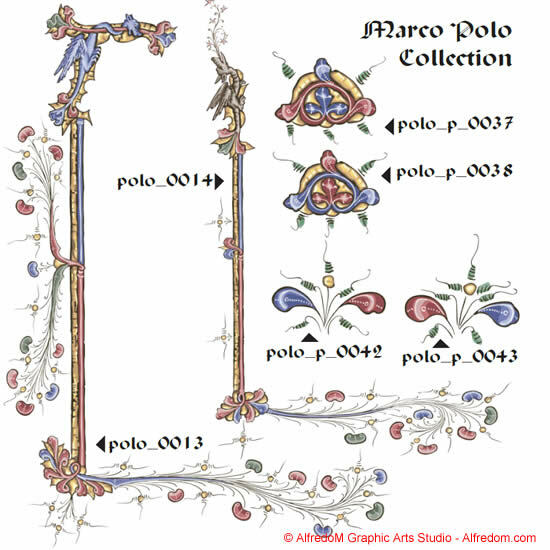 The page on how our drawings are made contains information on how we draw illuminated manuscript borders and lettering in the computer using Adobe Illustrator. 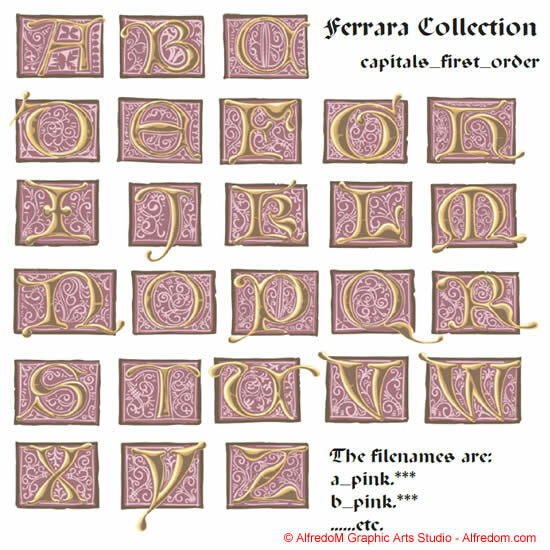 Sidebars and three orders of initials in co-ordinated sets of colors. 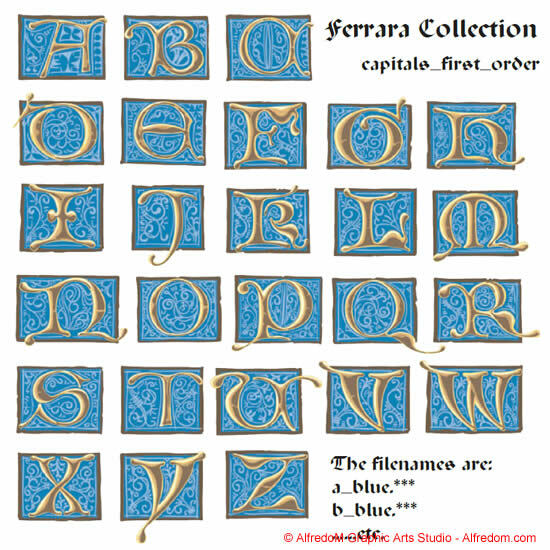 Medieval lettering. 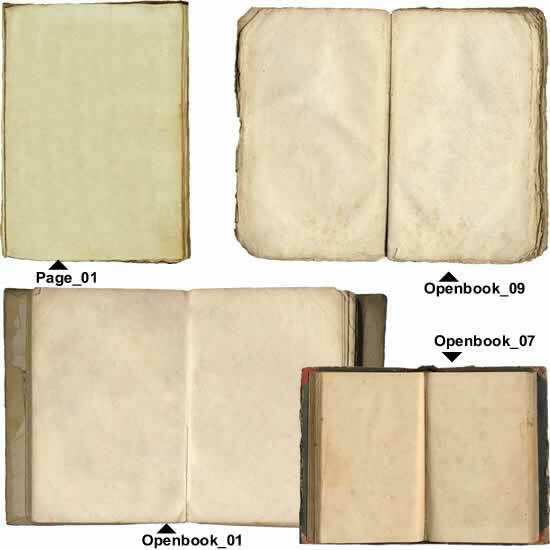 Many borders and page elements from Marco Polo, Li Livres du Graunt Caam, and other manuscripts. 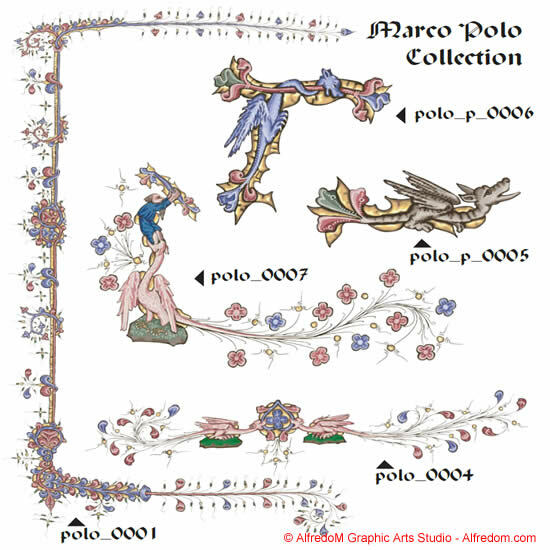 Also various elements that can be assembled to create many new designs or borders. 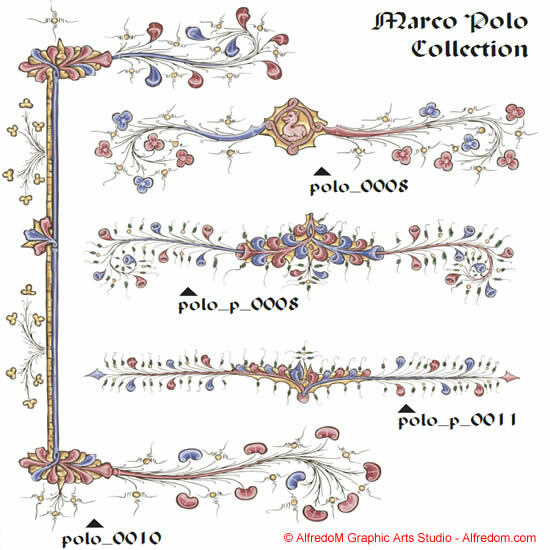 Our background graphic borders can be easily inserted in word processing documents; in our FAQ page there is a guide with the information on how to insert vector graphics in Microsoft Word documents, Corel WordPerfect documents and in similar software. 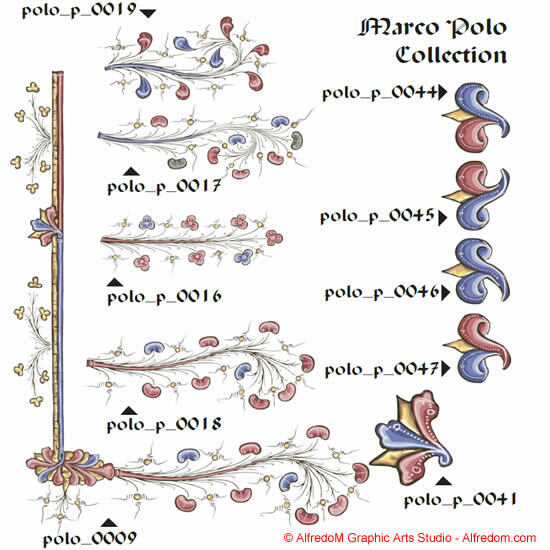 We have a section of free evaluation graphics where eps and wmf borders and sample letters can be downloaded to verify the quality of our work. Free Middle Age and Renaissance Illuminated Manuscripts borders clipart in eps or wmf are available for personal and educational use only.